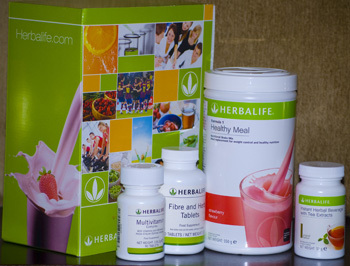 Start your day the right way with the Herbalife® Wellness Program. Ideal for those people who are health-conscious but don’t always have the time to prepare three healthy meals each day. Scientifically formulated to provide the balanced nutrition you would expect to find in a complete meal, this Program delivers high quality soy protein, healthy carbohydrates, dietary fibre, and a broad range of vitamins, minerals, and herbs for round-the-clock nutrition. Consider replacing one meal a day with a tasty Formula 1 shake to help provide your body with the nutrients it craves. Supplement your daily tea and coffee intake with Thermojetics Instant Herbal Beverage, an invigorating alternative packed with beneficial antioxidants.